LUNA’s had a baby! 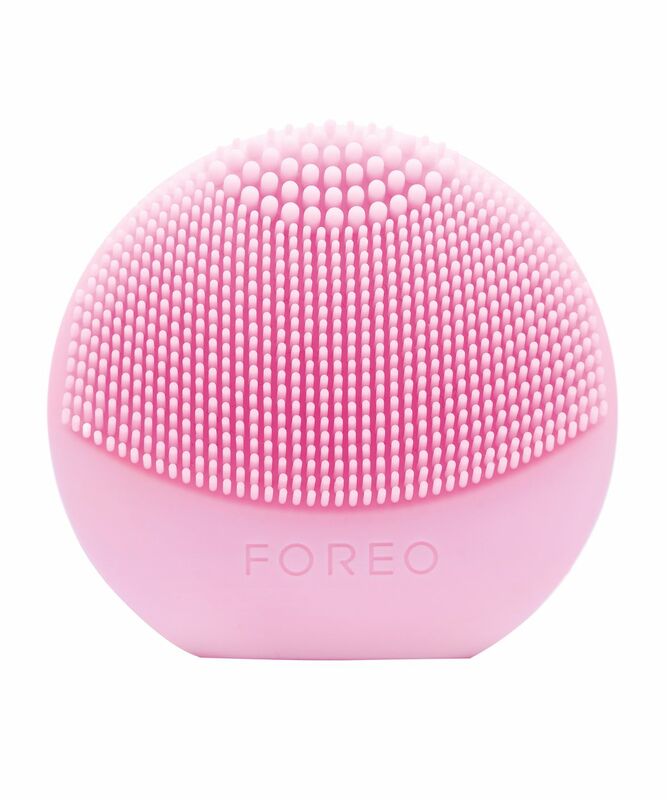 Super-cute and mini-mini, ‘Play’ is the perfect way to discover the skin-cleansing power of FOREO’s sonic technology. 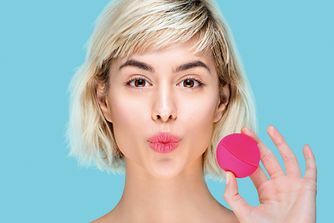 About the same size as a cotton pad, the limited-life device is ideal for taking on travels (it’s good for approximately 100, one minute uses), and comes in a spectrum of eye-catching colours, so won’t disappear in the depths of your make up bag. This device is battery-operated and non-rechargeable. The battery life will permit up to 100 individual uses - once the battery runs out, it CANNOT be replaced. An ultra-gentle yet seriously effective way to enhance your everyday skin care ritual, LUNA play Facial Cleansing Brush features two cleansing ‘zones’ with ultra-fine and thicker touch points to target normal and congested areas. With one cleansing mode, this generates 8000 T-Sonic pulsations per minute to help eliminate accumulated toxins and enhance the efficacy of your cleanser. 100% waterproof and completely hygienic, just one minute is all it takes to leave your face feeling peachy-soft, clean and glowing. 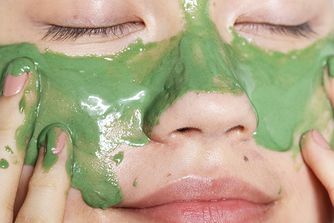 Ideal for anyone susceptible to breakouts and congestion – as well as those whose skin is dulled or lacklustre – this provides ultra-gentle, non-irritating exfoliation, while stimulating micro-circulation to ‘feed’ sluggish cells and purify your pores. A great gift for a teenager or jet-set friend, this also represents the perfect opportunity to try before committing to a full-sized, rechargeable device. 1. Dampen your face and apply your favourite cleanser. Wet the LUNA play Facial Cleansing Brush and turn on. 2. Gently glide the LUNA Play's brush in circular motions over your face for 1 minute. Choose the appropriate surface - depending on your skin's requirements. 3. Rinse and dry your face. Apply your additional skin care products as desired. I really love this tool. It's so soft with your skin and do a deep cleaning. Bought a few of these in different colours. Used my pink one first. Used a few times with no issues. Then one day it just wouldn’t switch off I had to bin it. I have a few more. Hopefully won’t have that problem. I'm in love with this tiny miny magic tool, it does not just clean the face it takes out all the dirt from pores.....since I'm using this with my cleanser and proper skincare products I don’t have even a single acne on my face. Perfect size and love using it! Makes skin feel really soft. And you don’t have to keep your finger on the button for it to work you just press it in hard and it stays on for as long as you need! I found that this product really helps cleaning my face in the morning and in the evening as well to give it a boost. Also within the first use, I found that the texture of my skin around my nose and in the chin got better. I will definitely buy a better one when this dies off. Очень довольна приобретённым малышом. Думаю, что когда разрядится , закажу не большой , а ещё раз этот. Удобно брать с собой в поездки. *** Very satisfied with the this. I think that when I am finished with it, I will not order a large one, but this one once again. Convenient to take with you on trips. Just purchased and used immediately. Performed brilliantly and did not irritate my highly sensitive rosacea skin. Left it glowing and smooth. Reading the review above - I found I pressed the button once to start the vibration - two presses for a different vibration and another press for off. I did not have to hold the button and can understand the awkwardness of use if doing this. Awkward to handle. Clumsy design. I wouldn't buy this product again. I thought it would be fun to try, before I invested in the larger and more expensive models. Based on this Play model I will not be investing or reordering. It looks cute but it is really difficult and awkward to handle. It is bit of a clumsy design. I had to keep my finger on the button on the back in order to activate it which was difficult as it was slippery with my face cleanser. Also moving it around the contours of the face whilst trying to keep the button pressed was needlessly difficult. Perhaps the bigger models are easier to use but this smaller version is just clumsy. I haven't bothered using it again after the first couple of attempts. Got tiresome. I’m not sure how, but it works! Surprisingly skin feels definitely clearer after using this in addition to any regular cleansing gel. For daily using better to buy bigger one, good for traveling, very useful, I recommend. Completely satisfied with this little baby. Great product! My skin is so soft after using. Very gentle cleaning! I normally use three times a week. This gadget is both gentle and small. The fact that it is small is very important because you can focus on the skin areas that create persistent problems and treat them very efficiently. You can also use it with a cleanser if you like that combination. I usually do not, but I do not say no to the cleanser either from time to time. 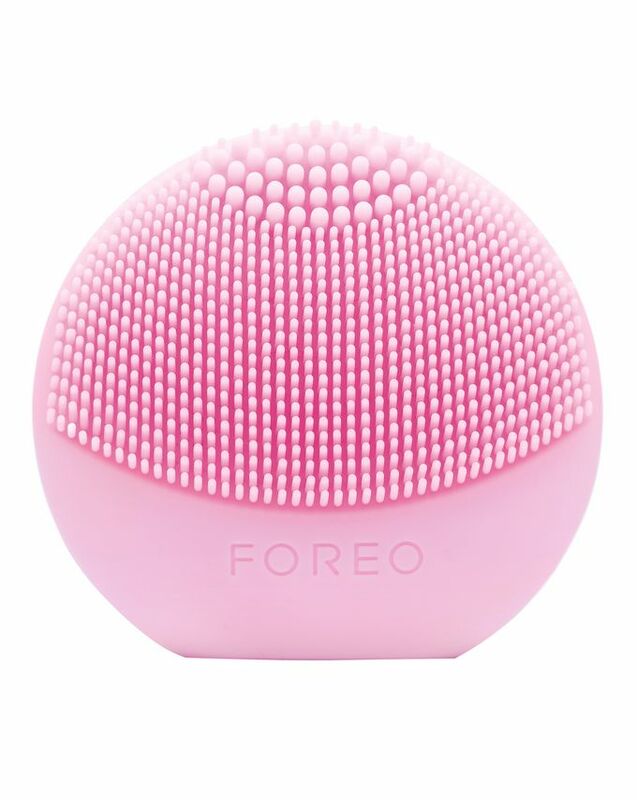 I could see my pores before using this silicon brush and it really bothered me. After a few months, I do not see them and my skin is beginning to glow. This is the solution that I was looking for for a long time. It really works. Recently bought the Luna Play in baby blue and I LOVE IT. The vibrations are so powerful for such a little object! It has helped start up my facial skin circulation in the mornings and relax my face in the evenings. I feel as though it has helped reduce the texture on the bottom of my cheeks greatly also. I don't understand the review below as you don't have to keep your finger on the power button. It's one press to start and one to stop. I prefer to use it on skin that is already clean of makeup. It's excellent to clean more deeply with a stronger, creamy cleanser. I've only given this product 4 stars as I feel it may not work for everyone but please give it a go. I wanted to try this smaller version before committing to the bigger ones as it’s not cheap. I didn’t really know what to expect but having read the good reviews I really wanted to give it a go. I used it for 1 min with a normal boots face wash and it felt SO soft and smooth after! I was really surprised at how effective it is. Great product.